Do you how challenging it is to stop a car quickly on a slippery road? It's really nerve-wracking event. This is the point when ABS takes a lot of the challenge out of this frustrating situation. In reality, even skilled and experienced drivers feel it difficult to stop as quickly without ABS on slippery surfaces as an average driver can do with ABS. ABS ... What is it? Do I need it? What's in them? How ABS work? What you should know about Abs? Are all these questions revolving around your mind? Well, let us go into its depth to know whether they are worth investment and do you really need them? ABS is acronym for Anti-lock Braking System. It was introduced in the mid -1980s with the aim to help the driver avoid skidding whilst applying brakes quickly and to retain steering ability. Today, ABS has become standard equipment on the majority of automobiles sold all across the world. ABS in MPV's and cars endorse directional stability. It also allows steering whilst boosting braking. ABS is designed to facilitate steering control to the driver. It automatically actuates the brakes on and off in case of emergency stops. Definitely, this can help drivers to avoid crashes. In some situations, this equipment contributes to cut down stopping distances. ABS - How it works? Anti-lock Braking System makes use of wheel speed sensors for determining if one or more wheels are attempting to lock up during braking. In this situation, a sequence of hydraulic valves reduces or limits the braking on that wheel. Due to this, you are able to retain steering control which will prevent. How to use ABS? It is essential to apply constant and steady pressure. Never take your foot off the brake pedal till the vehicle stops completely. Don't pump the brake too. It is essential to familiarize yourself with how ABS system functions. You can refer the "Owner's Manual" for this. You can check your ABS in an empty space, parking lot or ground under different climatic conditions like ice, dry, snow and wet. Keep in mind that with ABS stopping distance will not shorten. Many people think that it can be stopped on a dime. However, such instant stop is not practical. On dry or wet roads, your stopping distance while braking will be nearly the same as with usual brakes. 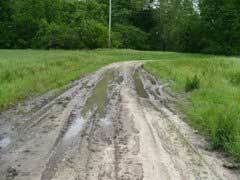 Keep in mind that road hazards like ice, gravel, snow, sand, potholes, mud, railway tracks etc. can cause the ABS to function unpredictably. Further, ABS can't make up for bad judgment or road conditions. Definitely, it's the driver's liability to drive at sensible speeds for traffic and weather conditions. Remember that ABS brakes help you retain steering control while braking which will make you turn around obstacles. Never become an over-confident driver simply because you have ABS. ABS brakes will help you have more control your vehicle during emergency situations. However, it is essential to understand that the reason behind most of the crashes is poor driving. The problem is not with the technology. Definitely, driver who rely on technology rather than having superior driving habits to enhance safety are on a risky road. 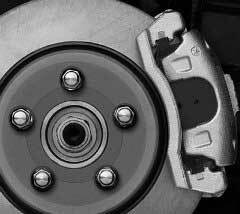 It can be beneficial to get thorough knowledge about ABS brakes and then determine if you need it.